Note: While review will be spoiler free, it does make reference to previous books. If you haven’t started this series yet, check out VBC’s review of book 1, Written in Red. 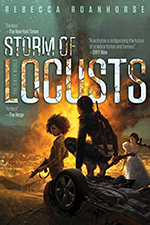 The town of Sproing sits on the shores of Lake Silence in the Wild Country, land controlled by the terra indigne, or the Others: the shifters, vampires, and much larger, fiercer predators that were the planet’s first inhabitants. Generations ago, they made an agreement that allowed humans to use the land and its resources as long as they followed certain rules. A year ago, a group of humans attacked the Others, breaking the agreement and resulting in “The Great Predation,” which left Sproing (and many other towns like it) largely abandoned. Vicki DeVine is among the first humans to resettle in Sproing, having received a run-down lakeside resort property called The Jumble in her divorce settlement. Vicki’s spent months rehabbing the property so she can open for guests. Then she finds a body. It might be connected to her ex and a plot to reclaim The Jumble, but most of the police seem more interested in blaming Vicki. When her neighbors rally to her defense, she realizes that she’s been surrounded by Others the whole time, and by claiming The Jumble she’s become part of their world. Unlike in earlier books, the primary point-of-view characters in Lake Silence are all human. Vicki is sometimes cheeky, often referring to her vampire attorney as yummy, but she’s also insecure. She suffers from anxiety, and possibly PTSD, though she doesn’t use that term, due to years of emotional abuse from her ex-husband. I love the way the Others deal with her condition though. We also follow Officer Grimshaw, the one cop who’s on her side. He has a great bromance with Julian, Vicki’s friend and former cop. And we follow “Them,” the villains. Vicki’s first renter, Aggie Crowe, who turns out to be a shifter also has a few short POV chapters, as does her lawyer Ilya Sanguinati. Other than those two, I didn’t feel like I got to know the Others very well. However, the Elders and Elementals play a much bigger role than in previous books. Since The Great Predation they’re taking a more active role in the world, which definitely makes things interesting. Still, I hope that some of the shifters will be developed more in the next book. 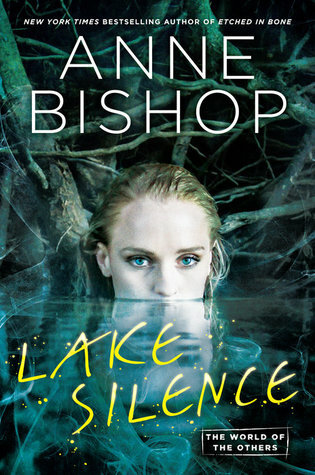 Lake Silence begins a new arc in The Others series. It acknowledges that the world has changed, but doesn’t refer to events in the previous books much. Characters from the Lakeside Courtyard are mentioned, but mostly in the “I know a guy who knows a guy” sense. I think you could easily start the series here without getting lost. 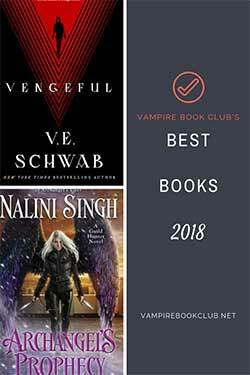 (Though the rest of the books are awesome and we highly recommend you read them.) In fact, I wonder if the story would have been more suspenseful if I hadn’t read the previous books. I felt like I knew exactly what would happen to the bad guys, just not when. The series’ first arc did such a great job of revealing the world one small piece at a time. And it had the slowest burning romance ever! I’m pretty excited to get to know a whole new cast as this arc progresses.